South Philly needs another deli like I need a hole in my head, which is why I didn’t give Dew’s Deli a second glance when it opened. As a matter of fact, I didn’t even notice it. Sitting just up the street from Neumann-Goretti High School, Dew’s has an unassuming outside, with a small sandwich board sign with its name. After reading about the unique Mediterranean menu items on Passyunk Post, my husband and I decided to walk there on sunny Saturday afternoon, dogs in tow. My roast beef hoagie (meat sliced to order) was pretty typical. Fresh and tasty, although the bread tasted just a touch on the stale side. In their defense, it was a little later in the day. 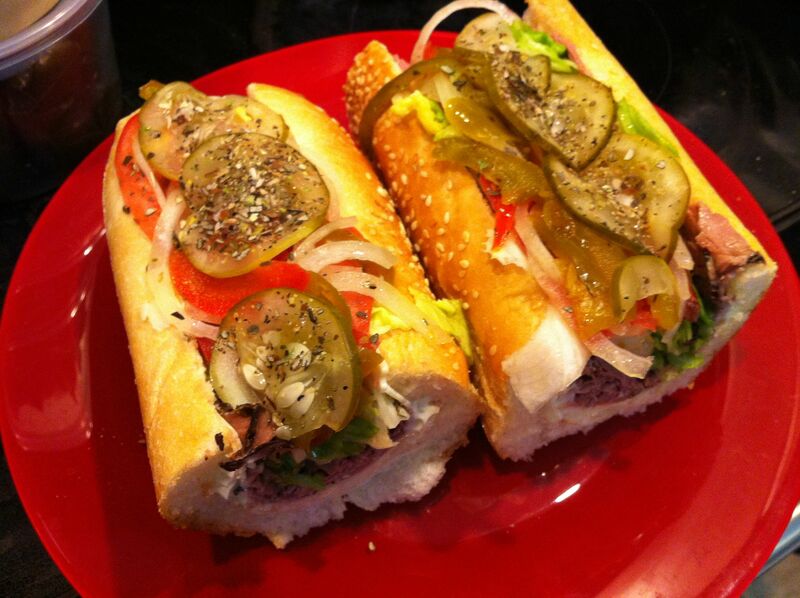 However, the sandwich itself was hearty and could have stood up to most of the other spots in the neighborhood. 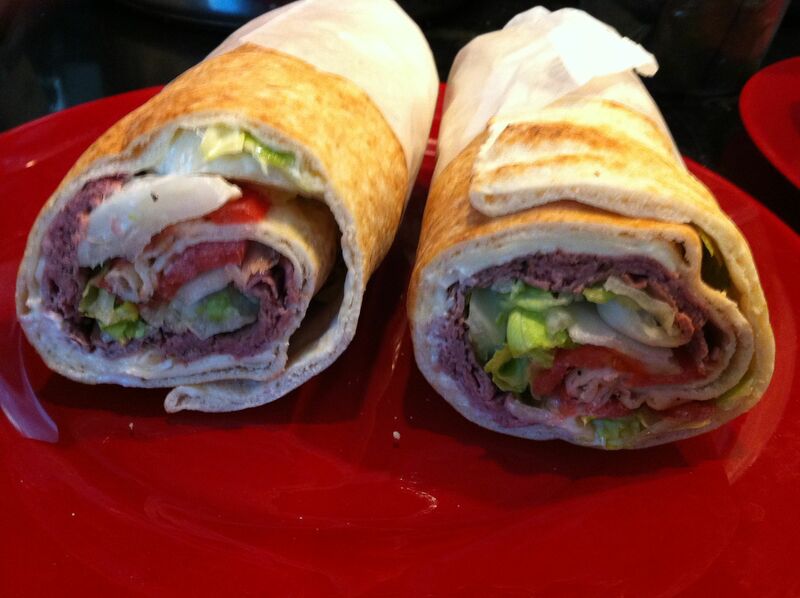 In an interesting twist, Dew’s actually serves their wrap on pita, like you might find a gyro. I didn’t taste it, but no complaints from the husband. 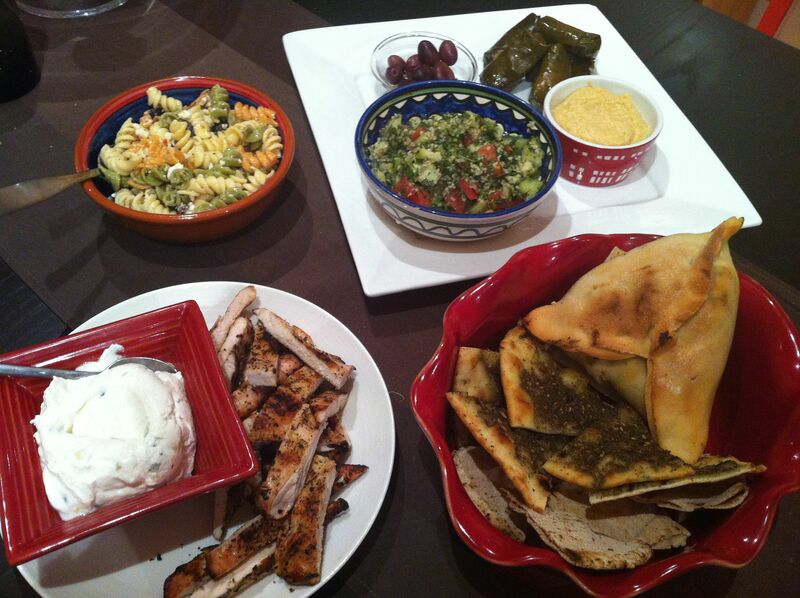 That night, we served our Mediterranean feast. Clockwise, from the upper left-hand corner: Greek-inspired pasta salad with feta; tabbouleh, olives, grape leaves and hummus; spinach pie, zaatar bread and pita; grilled chicken and tzatziki (those were not from Dew’s.) The pasta salad was on point. Not too oily, nice bites of feta. The tabbouleh was excellent and bursting with lemony, parsley flavor. Hummus on the thicker side and a great accompaniment to the fresh pita (not made in-house.) I have an affinity for grape leaves and am scared to think how close Dew’s is…great for a quick afternoon snack. The spinach pie was packed with a surprisingly vivid lemony zest. And the zaatar was, well, zaatar. I love the sumac, sesame, herb blend. Bottom line, Dew’s makes a good sandwich but if you’re in the mood for something a little more unique, bypass the hoagie counter and chomp into some Lebanese delights! Love it there. Food is delicious. Dew and her staff are always friendly and ready to help!